Selsey Town Council have now had confirmation that all of the statutory documents required (as per Neighbourhood Planning (General) Regulations 2012 No. 637) have been submitted to Chichester District Council, have been considered against the Regulation 15 of the above regulations and are formally accepted by the local planning authority. Chichester District Council will now be running their own six week consultation for the submission version of the Selsey Neighbourhood Plan and this will run from Friday 9 February to Friday 23 March 2018. Hard copies of the plan will be available during the consultation period from the Town Council offices at 55 High Street, Selsey, the District Council offices at East Pallant House and local libraries. Representation forms are available for completion at these venues. Selsey Town Council as the qualifying body has prepared a neighbourhood development plan, entitled Selsey Neighbourhood Plan 2017, for their parish with the help of the local community. The Plan sets out a vision for the future of the parish and planning policies which will be used to determine planning applications locally. The pre-submission consultation was conducted during February and April 2017. Representations were received from Statutory Consultees, businesses and members of the public. These representations have been considered by Selsey Town Council and, where appropriate, the Neighbourhood Plan has been amended to reflect them. The Neighbourhood Plan is now ready for submission to Chichester District Council under The Neighbourhood Planning (General) Regulations 2012 (Regulation 15). 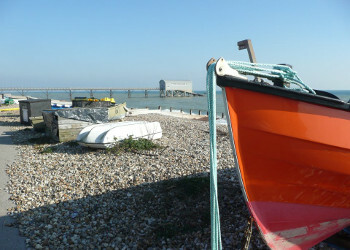 Copies of the Selsey Neighbourhood Plan and supporting documentation are available to view at the bottom of the page.